TOKYO (Sputnik) - The US forces need to resolve technical issues with its aircraft stationed at the Futenma Air Base in Okinawa, Japanese Chief Cabinet Secretary Yoshihide Suga said on Wednesday, following the third emergency landing of a US helicopter in the southern Japanese prefecture since the beginning of the month. "We extremely regret that great disturbance was caused to local people… We strongly urge the United States to give maximum consideration to safety and minimize the impact on the area," Suga said in relation to the incident, as quoted by the Sankei newspaper. Japan’s Defense Minister Itsunori Onodera noted that he had requested the United States to thoroughly inspect all military aircraft, according to media. 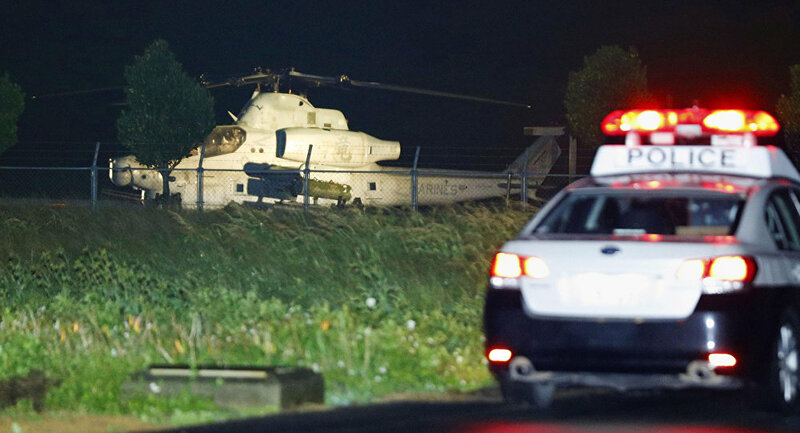 On Tuesday, a US military AH-1 attack helicopter was forced to make an emergency landing on the Tonaki island in Okinawa. Earlier in the month, two AH-1 helicopters based at Futenma also had to make emergency landings, according to media reports. ​The US military continues a significant presence in Japan, with US Forces Japan (USFJ) consisting of approximately 50,000 military personnel.